We are over the moon to have Mary of Capturing Magical Memories back with us on the Magical Mousetery Tour! She is the 6th contributor to the June 2016 Tour. Off and on since 2012. I really got into it when I was a designer at Mousescrappers. Once the store closed life got in the way and I stopped designing for a while. 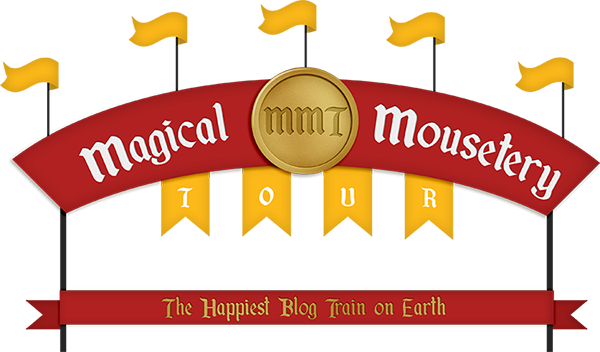 I really was excited when I was asked to join the Magical Moustery Tour as it got my creative juices flowing again. I am not going back to designing a lot but expect to see me around here contributing and then creating larger companion kits for the themes. This is going to be odd but I like the second string animals in the Disney movies. HUGE fan of Maximus from Tangled. He has such a personality but is often overlooked. From others. I love to hear about their Disney trips and stories of adventure in the parks. I want to try and help them preserve those memories. In fact I have a Pinterest board set up just for others to share their favorite pages and memories. I love flipping through them to come up with ideas for capturing them in all different way. Learning something new. I have just started designing completely in Illustrator so I am on a steep learning curve and I am amazed and what it can do. Now if I can just do a fraction of that I will be happy. Make sure you check back Monday, April 18th when we’ll be announcing the next designer reveal!